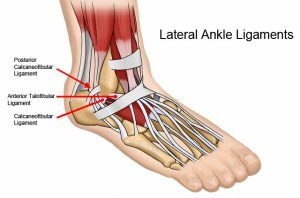 Ankle sprains are a very common injury and majority are caused by rolling the ankle in. Immediately after the injury you should follow the P.R.I.C.E protocol as explained in our previous blog: This will help minimise swelling and pain. It is also important to try move the ankle as soon as pain allows to help maintain range of movement. It is important to see a physiotherapist or a sports medicine professional following the injury to check the severity of the sprain and rule out a fracture. The recovery period following an ankle sprain can depend on the severity of the injury, most ankle sprains take between 4-6 weeks to recover. Unfortunately, there is a reoccurrence rate of 70% in first time lateral ankle sprains. For this reason, it is very important to have a good rehabilitation program following the injury to prevent another injury. To prevent instability of the ankle, it is important to strengthen the muscles around the joint. A Physiotherapist can provide a home exercise program to regain full range of movement, improve strength and develop balance to prevent recurrence. Following an injury to the ankle, your balance will be affected as your sense of where your ankle is in space will be impaired. This can cause your ankle to feel unstable and may even give out. Proprioception / balance exercises will help teach your body to control the injured joint, therefore reducing risk of reinjuring the ankle. A healing ligament also needs a certain amount of stress to heal properly, so it’s important that the exercise program is progressive and gradual to promote stress to the ligament. Your Physiotherapist can help with this process too by using manual therapy to reduce stiffness in the joint and help promote healing. Please contact the team at Oxford Circus Physiotherapy on (0)207 636 5774 or reception@oxfordcircusphysio.co.uk should you wish to discuss your injury with one of our team further. Oxford Circus Physiotherapy is home to a team of expert Physiotherapists who aim to make people better faster. Based in the heart of London’s West End, Oxford Circus Physiotherapy has the largest private rehab facility in the area. Covered by all major Private Medical Insurance companies; Allianz, Aviva, AXA, Bupa, Cigna, PruHealth, Simply Health, Standard Life, WPA. If your insurance company is not listed above, don’t worry, this is not an exhaustive list. Please contact us and we will confirm over the phone. © Oxford Circus Physiotherapy 2018. All Rights Reserved.